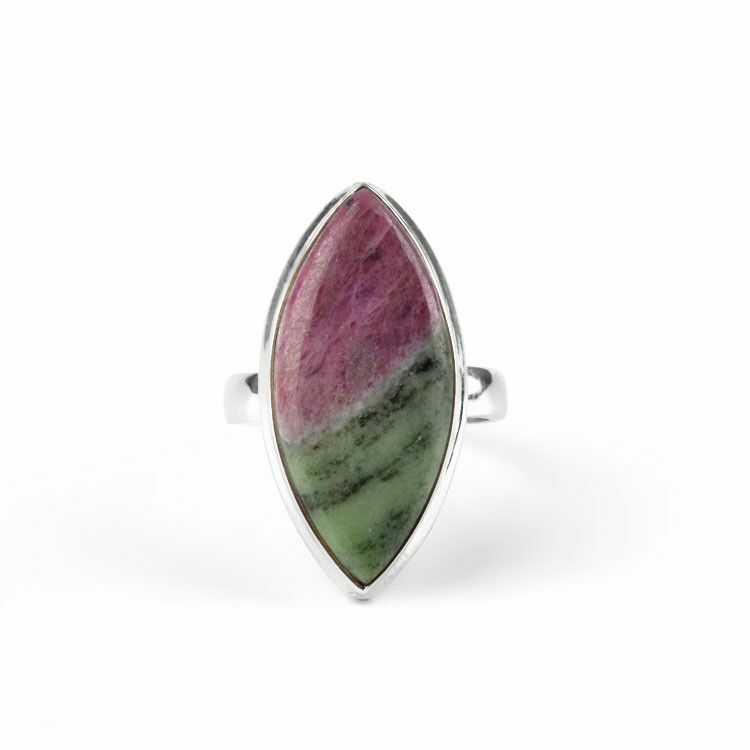 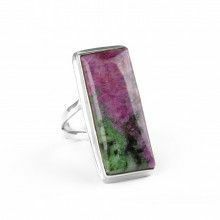 This fun and beautiful gemstone ring is an excellent jewelry option for many. 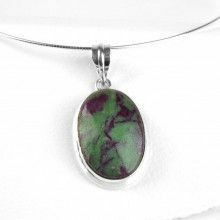 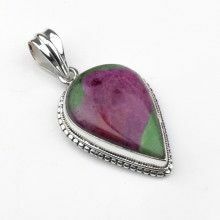 The genuine Ruby-Zoisite stone is a mix of purple and green and it is 1" long and 7/16" wide. 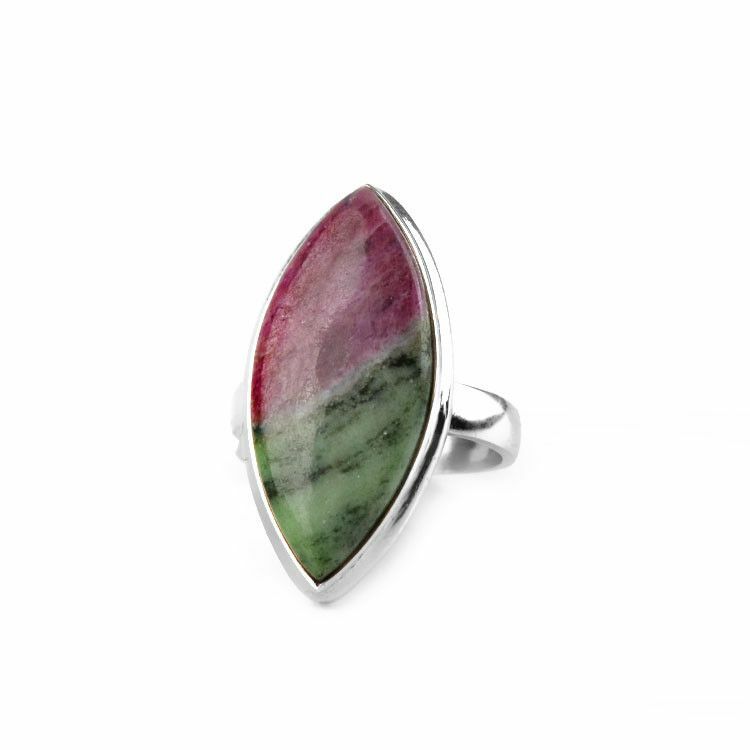 The marquee-shaped gem is set in a simple band of sterling silver. 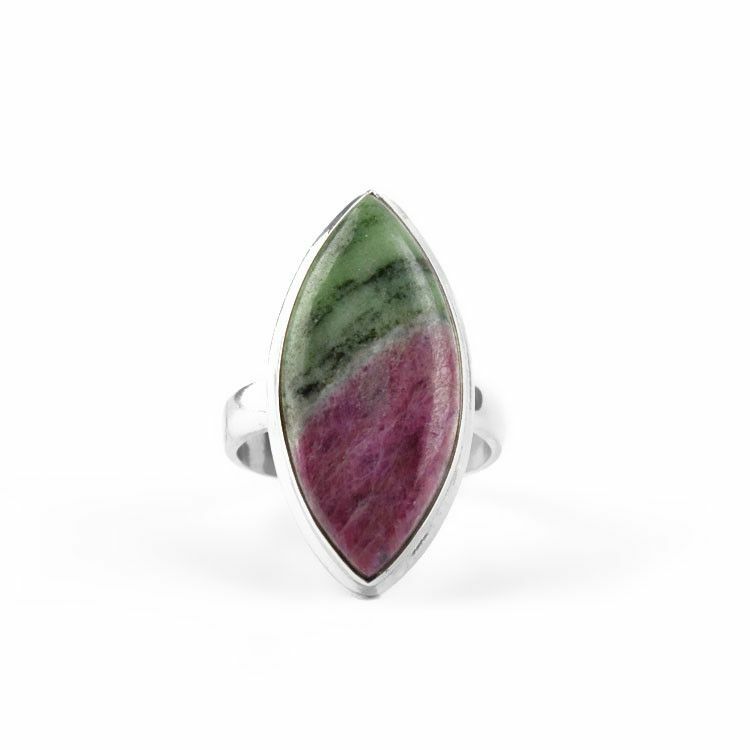 This low-profile ring (3/16" height of finger) is unisex. 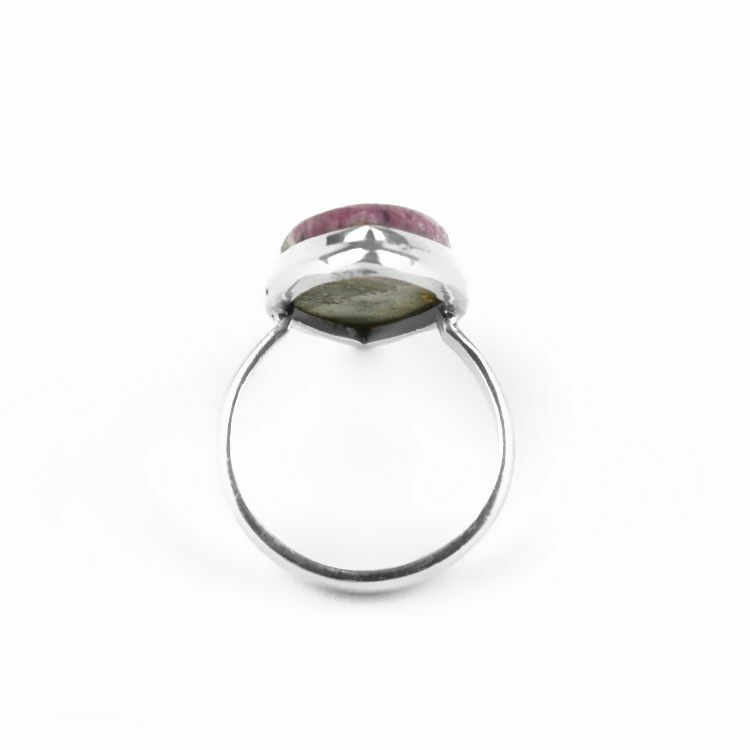 Stone is 1" x 7/16"
Face is 1 1/8" x 1/2"